Did I mention that I love different kind of jewelry. I love all that chunk, asymmetry and colorblocking has to offer. This week's piece is perfect for this Fall/Winter season because of its colors yet adventurous enough for Spring/Summer. 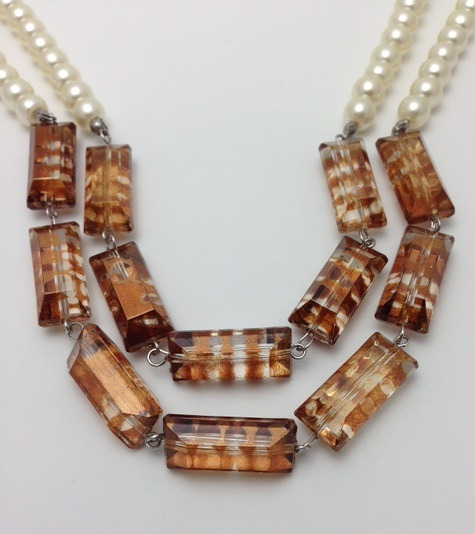 By combining off-white glass pearls and acrylic brown rectangular beads, this Victorina necklace came about. You can wear it to the office with a button down or a high collared top or dress. What do you think?